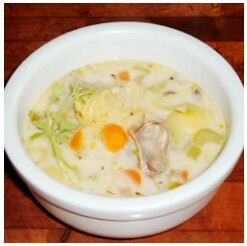 Posted on January 31, 2015 by Hal "Gonzo" Gonzales, Jr.
It’s that time of your for soup – try this one – Elegant Oyster Soup! 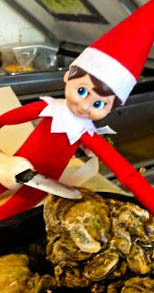 Posted on December 24, 2014 by Hal "Gonzo" Gonzales, Jr.
Make Your Own Oyster Po’ Boys! 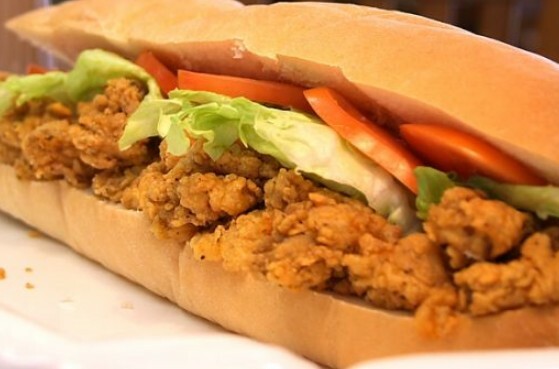 Posted on November 18, 2014 by Hal "Gonzo" Gonzales, Jr.
Fried Oysters Po’ Boys… Mmm! Mmm! Good! 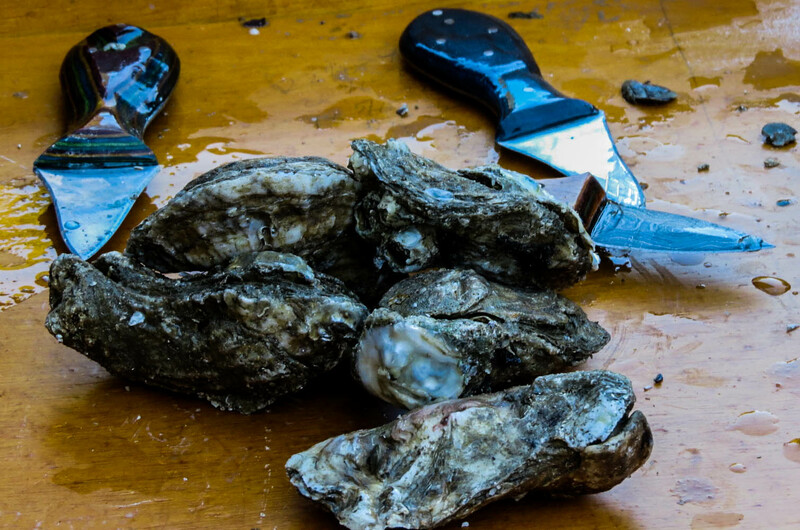 Start by shucking your own fresh oysters. Use 6 large shucked oysters; 1 1/2 pints stout, preferably Guinness; 1/2 cup all-purpose flour; 1 pinch seafood seasoning, such as Old Bay; 1 pinch salt 1 pinch ground black pepper; and Vegetable or canola oil, for frying. 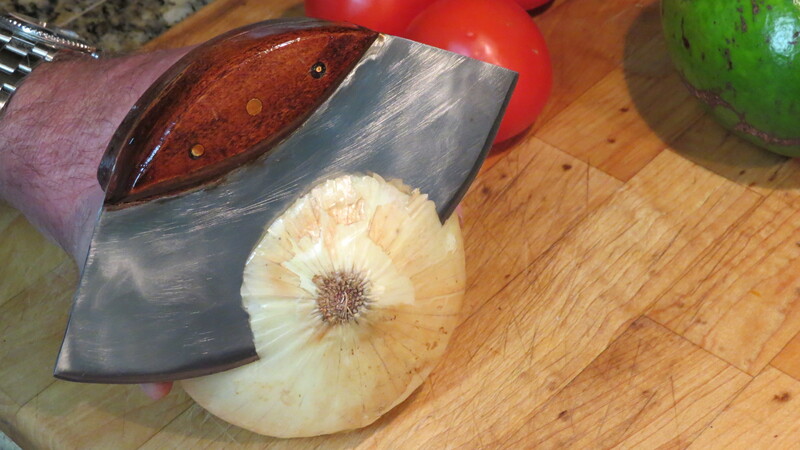 Heat a few inches of oil in a large saucepot to 350 degrees F. Combine the flour, seafood seasoning, salt and pepper. Dredge the marinated oysters in the flour, and then shallow-fry until golden brown, 3 to 5 minutes. Use your favorite French bread, cut in half; top with lettuce, tomato, and your favorite red or remoulade sauce. 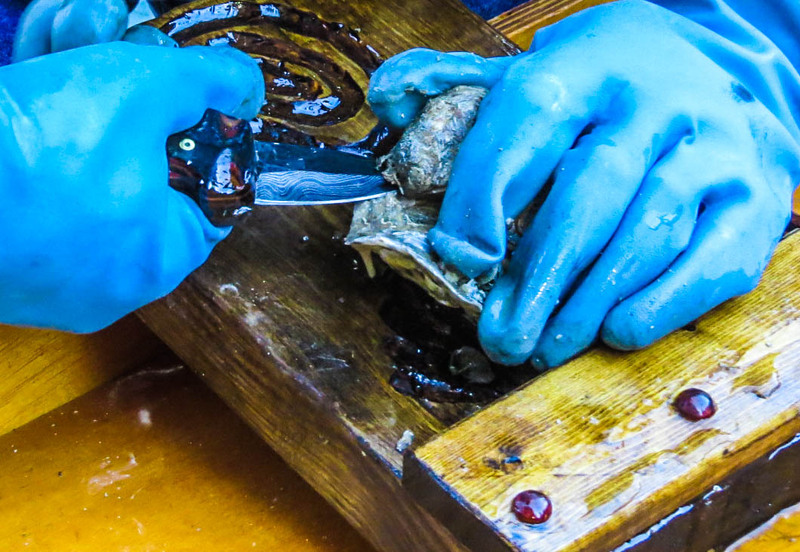 For information about the oyster shucking knives and oyster shucking boards click on underlined link or contact 51gonzo46@gmail.com. Posted on November 8, 2014 by Hal "Gonzo" Gonzales, Jr. Here are some excellent examples of toppers for your fresh oysters. Share your favorite topper. Simple Tabasco Sauce. 1 dozen oysters in the shell, crushed ice, TABASCO® brand Original Red Sauce, and lemon wedges. Oysters and Sausage. Fresh oysters with chorizo for a multi-sensory experience. She mixes the spicy sausage with lemon zest, candied ginger and hazelnut oil for a topping that is meaty, sweet and bright to contrast with the oyster’s delicate, briny flavor. Oyster Omelette. The omelette, which has bacon, three eggs, and, of course, fresh oysters. Simple Jalapeno Topper. A simple slice of jalapena pepper on top of your favorite oyster. Barbecue Oyster Sauce. Oysters with lemon, Tabasco, Worcestershire sauce, and with a little vodka. Also very nice with a drop of good, tart, Barbecue sauce. Mignonette sauce. Just cracked pepper, finely minced shallot and champagne or red wine vinegar. Tomato & Basil Salsa. Cut a tomato into quarters and use a knife or a teaspoon to remove the seeds. Chop the flesh into ½ inch pieces. Combine the tomato, finely chopped cucumber, finely shredded fresh basil and a little extra virgin olive oil. Click here to see more toppers! Try Oyster and Pecan Stuffing for Thanksgiving! Posted on November 1, 2014 by Hal "Gonzo" Gonzales, Jr.
It’s that time of year to create your favorite stuffing. 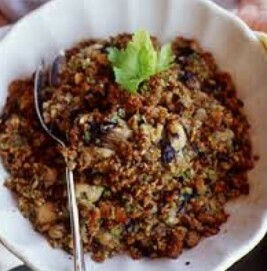 At our house, our favorite is Tony Chachere’s baked Oyster Pecan Stuffing! Bam! In a medium saucepan over medium heat, heat the butter until it bubbles. Add the onion, green onion, thyme, oregano, and cayenne. Cook until the onions turn translucent. Shuck the oysters and save the juice reserving 1 cup of the liquor(oyster water). Set aside. Add the vermouth and bring it to a boil. Lower the heat a little and add the oysters. Poach for about three minutes, or until the oysters curl at the edges. 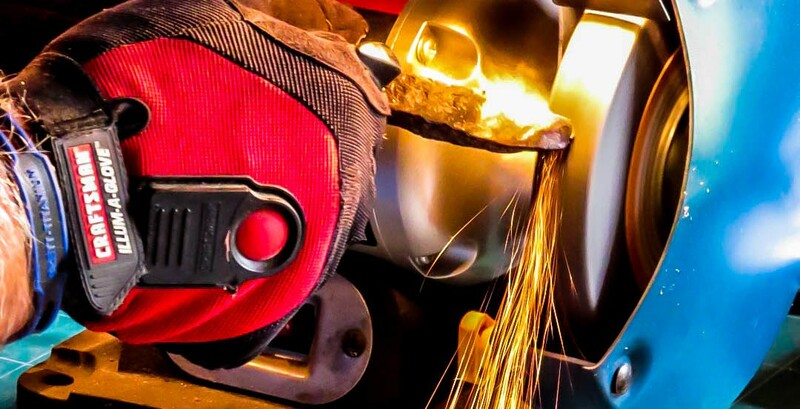 Lower the heat to the lowest setting. Add the oyster water (up to 1/2 cup) and the French bread cubes. Stir to soak the bread cubes with liquid. If the oysters break up a bit as you do this, that’s okay. Let the mixture return to a simmer and hold there for about three minutes. Add the parsley and the chopped pecans. Toss to evenly distribute them in the mixture. It should be fairly loose and wet; tighten it up to a stiff mixture with the bread crumbs, and transfer it to a baking dish. Just before serving, bake, covered, in a 350-degree oven until warm all the way through. Then bake another few minutes uncovered to get a bit of a crust on top. Serves six to eight.